AT age 36, Alana Beard remains one of the top players in the WNBA, and it's not quite by accident. 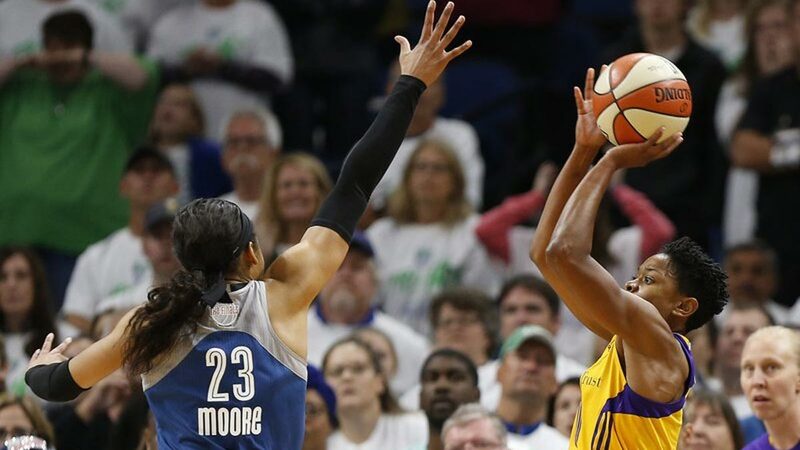 Describing herself as an 'old lady,' the Los Angeles Sparks defensive specialist said it takes a lot of hardwork and discipline to remain on top of her game. “It’s hard,” Beard, winner of two straight Defensive Player of the Year awards, said in an interview with SPIN.ph during her visit in Manila for a US embassy project. Over the past five years, Beard said she has made dramatic changes to the way she trains and eats as compared to her younger days. “I’ve changed a lot over the course of the year in terms of with the way I eat, in terms of the way that I train. When I came in the league, I was obsessed with the game and I overtrained because I wanted it so badly. I wanted to be the best. "But as you grow older, you start to understand your body a little bit, you start to do things more efficiently. For the past four to five years, I’ve changed how I eat, I changed how I train, and how I think,” she said. So how does a 12-year WNBA veteran train and eat? For starters, Beard said she regularly eats meat and vegetables. “I stay away from my sweets and I don’t eat sugar,” she added. For pre-game meals, Beard goes for a high-protein diet. As for training, Beard said she is recently into Pilates, a series of exercises that strengthens a person’s core. “I like playing with my body and figuring out what works. I’m big at hot Pilates. I do Pilates every single day and I’ve started to see a good change because with Pilates, it works on your intrinsic muscles and I think that’s going to benefit more because I’m an old lady now,” Beard said smiling.